Marella Sands was born in a greenhouse surrounded by smug hothouse roses, but they made her sneeze so much, she left the greenhouse for different pastures and now lives in a fairy hut by the shores of a beautiful blue lake where she is sung to sleep every night by the song of the tree frogs. Or, at least that's what it says in her bio. Her latest works are a series of novellas about a bartender who must cope with the discovery of a supernatural world just beyond our own that wants her for its own purposes. 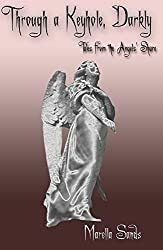 Through a Keyhole, Darkly, the first of the Tales of the Angels' Share series, was published in September 2016. Marella Sands: I don't have a funny story, sadly. I believe my introduction to Darkover was a second-hand copy of Hawkmistress, which I still have. MS: I think, at first, it was the adventure aspect (especially with Hawkmistress). I always wanted to see another book about Romilly, after she'd gotten Tower training and had married and was the king's hawkmistress. What other adventures awaited her? What happened when she went back home? As inspiring as she was as a teen character, how much more so would she had been as an adult? 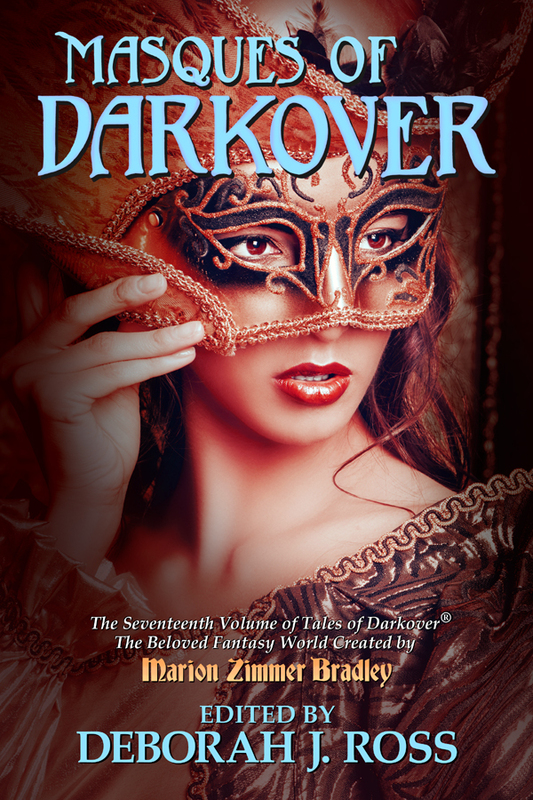 DJR: What inspired your story in Masques of Darkover? MS: I've never been as interested in the stories of the Free Amazons or the conflicts between the Darkovans and the Terrans as others are, it seems. But the Ages of Chaos and the biology of Darkover fascinate me. So far, my anthology stories have always been of pre-Compact days, when there were breeding programs and bonedust and clingfire and people learning about matrix stones, etc. For Masques, I decided to feature the Trailmen. I still want to write something about the Lake of Hali and the earliest Towers. DJR: How did you balance writing in someone else's world and being true to your own creative imagination? MS: I suppose the way I look at it is that even "my own creative imagination" has its guideilnes and rules. When you're writing, sometimes those guidelines are your own, and sometimes they're not. Sometimes writing to someone else's guidelines can be easier. It just depends on the story and the particular guidelines you're given. 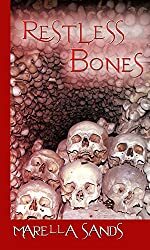 MS: Right now, I'd say my favorite is Restless Bones, the anthology of horror stories I put out in 2015. Some of the stories I like a lot, but a few I really love. Although a couple of the stories had already been written, most of the writing happened in about a three month period where I kept thinking to myself, "I want a story featuring THIS" or "I want to write about THAT." The ideas just kept tripping over themselves; I could hardly write fast enough. It was a lot of fun to do and a good way to stretch myself in ways I hadn't before. MS: I'm again trying something new: a series of novellas featuring the same main character. Teryl Gray is a bartender who discovers there's an ancient world of magic and betrayal and horror bubbling up through the cracks in the world she knows, and that, once she discovers this world, it won't let her go. I'm enjoying exploring this setting in 30K word chunks. I want each novella to have its own story arc, to feature something special about the location (usually St. Louis, Missouri, but I have plans to send the character elsewhere later), to spotlight at least one thing about whiskey or some other hard liquor (she's a bartender, after all), and to pull back the curtain just a little more on this other world and the main character's place in it. The series is called "Tales from the Angels' Share," the Angels' Share being the bar where the character works. The first novella was Through a Keyhole, Darkly, and was published in September 2016. DJR: Anything else you'd like our readers to know about you, Darkover, or life in general? MS: So I'm probably the last person on Earth to realize that somebody on the ship that crashed into Darkover must have had a copy of the anthology The King in Yellow by Robert W. Chambers, which was originally published in 1895. I bought a copy and have been enjoying consuming the stories slowly. They are not only creepy and fascinating, but they feature sentences like "We spoke of Hastur and of Cassilda, while outside the fog rolled against the blank window-panes as the cloud waves roll and break on the shores of Hali." If you haven't read the book already, I would definitely recommend it. The stories are more horror than adventure, but they are definitely stories that will stick with you.